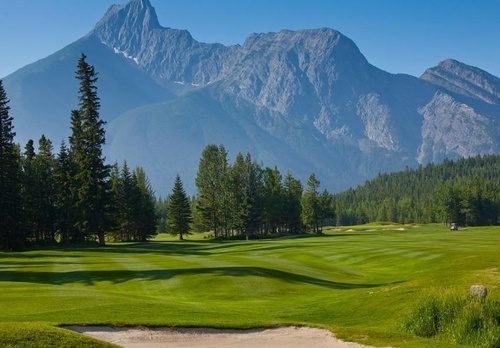 The Concrete Alberta's Spring Golf Day will be held the day after the Annual General Meeting and Industry Day on Saturday May 11, 2019 at the newly reconstructed and amazing Kananaskis Country Golf Club in stunning Kananaksis, AB. There are 20 tee times reserved for us and we will be utilizing both the Mt. Kidd and Mt. Lorette courses. Registration starts at 8:00 am with the consectutive tee times starting at 9:00 am on both courses . Come early and utilize the practice facilities in a most beautiful setting! Register your 4 person team. If you do not register a full team, we will place you on one. Please make your requests for golf partners in the comments area of the registration forms and we will do our best to accommodate you. Call the Concrete Alberta office 780.436.5645 for more details or select the desired level of sponsorship when registering for the tournament.